Subject Verb Agreement: Verbs! Verbs! Verbs! 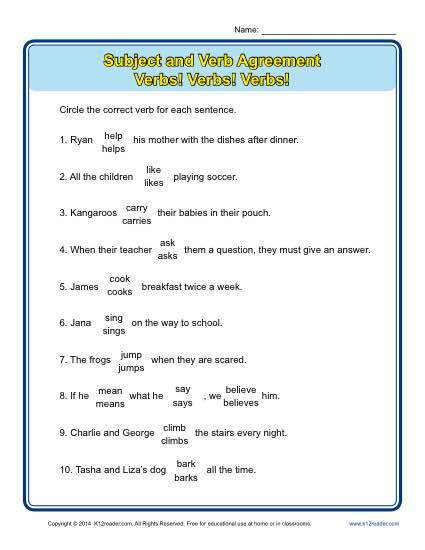 This subject and verb agreement worksheet is a bit more challenging. It features some compoound subjects and more complex sentence structure. Use it as a practice for Common Core Standards for 3rd grade Language or for other students as appropriate.